Komodo offers a decentralized, secure, private, and energy efficient transaction and dapp development platform. Over the years, the team has been working on a blockchain project known as the “Atomic Swap.” This technology allows you to trade from blockchain to blockchain, bypassing the need for centralized exchanges if one would like to trade one coin for another through your own wallet. This is quite an innovative and far-reaching feature, as currently most coins can only be purchased via fiat, BTC, and ETH through exchanges. The product is made anonymous through the use of JUMBLR. JUMBLR is a coin anonymizer that does not require any form of centralized assistance. Due to the project’s success, Komodo has made a significant partner — Monaize. Monaize is the first ever decentralized initial coin offering, or “dICO,” which aims to be the first crypto banking platform for small businesses, allowing would-be businesses to be remotely approved within minutes after uploading the required credentials, and provides a Black Monaize branded business card from MasterCard. The Komodo Platform is far from new to the scene of cryptocurrencies. While it has never drawn too much attention to it in the current booming market, it seems like that is about to change. 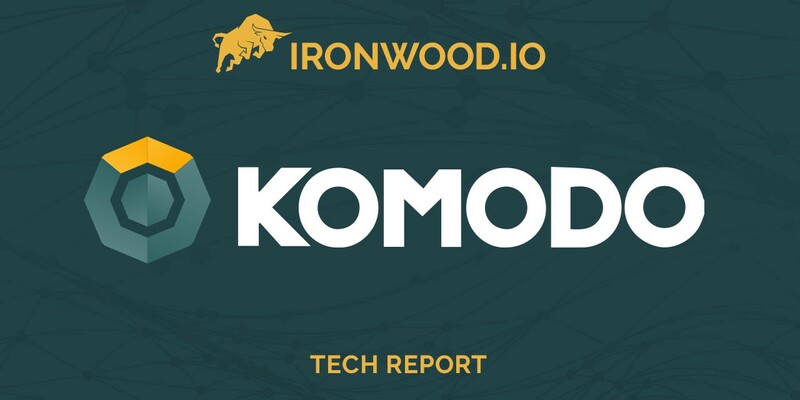 Komodo has done considerable re-structuring with their team since its inception, and they seem ready to release their full suite of features. However, Komodo will not be entering a vacuum; there are already a slew of existing platforms that it will be competing with. The two most notable would be Ethereum and NEO. Ardor is also a platform with a similar structure to Komodo that is currently more comparable with Komodo based on their market capitalization. To carve out its niche within this technological space, it is going to have to stand out from the rest. Its dICO, privacy features, and asset chain structure gives it an edge over Ethereum in its current state, theoretically fixing the current scaling issue and offering business a way to keep sensitive information secure. Furthermore, in the long run Ethereum has a roadmap aiming to fix these issues, but they aren’t currently in place. If Komodo is able to establish themselves as an alternative in the meantime, then it is likely to grow alongside Ethereum in the future. However, Komodo will be competing more closely with NEO, which does not currently suffer the scaling issues of Ethereum, and NEO is currently positioning itself as a solid and serious platform for business, compared with Ethereum’s more open ecosystem.